The party is believed to have included members of the Qatari royal family. A QATARI HUNTING party kidnapped in southern Iraq in late 2015 has been freed and was flown back to Doha today, Iraqi officials said. Sources close to the negotiations said their release was part of a far-reaching regional deal involving the evacuation of civilians in neighbouring Syria. “The interior ministry has received the Qatari hunters, all 26 of them,” the minister’s adviser, Wahab al-Taee, told AFP. They will be handed over to the Qatari envoy. Footage released by the Iraqi interior ministry showed some of the former hostages wearing white gowns and red head scarves as they were greeted by officials in Baghdad’s “Green Zone”, where the country’s main institutions are based. Some of them could be seen later in the video boarding a Qatar Airways plane at Baghdad airport and state media later confirmed they had landed in Doha. “Sheikh Tamim bin Hamad Al-Thani, the Emir of Qatar, received Qatari nationals who were kidnapped in the Republic of Iraq on arrival at Doha International Airport this evening, ” read the statement released by the Qatar News Agency. The statement gave no details about their detention. 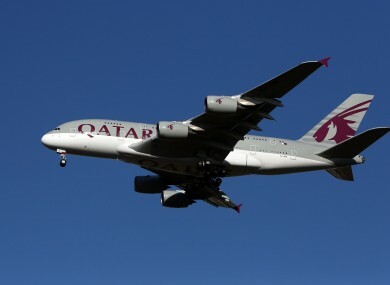 A large motorcade was seen heading to the airport and then returning through central Doha. The group of hunters, believed to include one or several prominent members of the Qatari royal family, were kidnapped in mid-December 2015 during a hunting trip in southern Iraq. Very little information had surfaced since their kidnapping as to their whereabouts or condition. In a statement, Interior Ministry Qassem al-Araji – a member of the Iran-backed Badr organisation – praised his ministry’s and the intelligence services’ work in ensuring the hunters’ release. The ministry would not provide details of the terms of their release but a source close to the negotiations told AFP on condition of anonymity that it was part of a broad regional deal. “The Qataris are now in (Prime Minister) Haider al-Abadi’s office following a deal between Jabhat al-Nusra and the kidnappers,” the source said, referring to the former Al-Qaeda affiliate now known as Fateh al-Sham Front. There was never any claim for the kidnapping of the hunters who were seized in a Shiite area of Iraq and widely believed to have been nabbed by militias with close ties to Tehran. The source said the deal included the evacuation of thousands of people from the northern Syrian villages of Fuaa and Kafraya, which are government-controlled but have been besieged by rebels. The evacuations were under way today, with hundreds being taken to Aleppo, which has been under full government control since late last year. The evacuees were forced to spend two nights in their buses at a marshalling area after last-minute disagreement over the release of prisoners held by President Bashar al-Assad’s government. The evacuations began last week but were delayed after a suicide car bombing killed 126 people, 68 of them children, at the transit point in Rashidin on April 15. Assad on Friday blamed Nusra for the bombing in an interview with Russia’s RIA Novosti news agency. The release of the Qatari hunters follows a similar pattern to that in 2015 of 18 Turkish workers, who were freed as part of a deal that also saw the lifting of sieges on Shiite villages in northern Syria. Qatar and Turkey have long had ties with Syria rebel groups. Email “26 members of hunting party kidnapped in Iraq in 2015 freed”. Feedback on “26 members of hunting party kidnapped in Iraq in 2015 freed”.